Paknum Fresh Market at Samut Prakan. Where good raw materials for cooking. In Samut Prakan, Thailand – Have many “Fresh Market”. If you want best goods for cooking. You can select from fresh market. But! 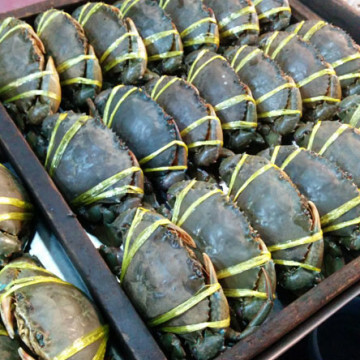 Paknam Fresh Market have goods for cooking, for example : crab, shrimp, fish and shells. Well in market have vegetables and fruits seasonal.